How to get happy hair? A question, almost every woman has to deal with, especially after years of coloration. I’ve never been that much into coloring my hair. Especially when it comes to drastic changes, I always preferred it to play safe. But since I had decided to highlight my hair about 3 years ago (because I was, and still am sooo into sun kissed hair) somehow I get used to it and felt like it suits my skin tone much better than my natural hair color – and this is actually where my hair coloring story started and probably will never end. The main reason why I didn’t start highlighting at a younger age was simply because I’ve always been scared about the damage. What actually was the best desicision I did at this time as I think, it is definitely one of the main reasons why my hair is able to grow that long today, look shiny and healthy. But to be honest, even if you probably can’t see it, you can totally feel the damage and dryness which is definitely caused by the colouration. I mean, it’s not a secret that coloring does stripp off necessary minerals and weaken the hair, but I had treated them as kind as possible until the age of 19 while others started coloring at the age of 15 – or even younger and I think, this might be one of the main reasons why they are still looking that smooth. Since I have to deal with dry hair, I always thought they needed my casual creams and leave-in conditioners every single hair wash, but actually I never got back those healthy and silky smooth hair I used to have before I started coloring them regularly. Fortunately I have a pretty good hair texture, which makes them look not-so-damaged for others, but as already mentioned, you can still feel their dryness. 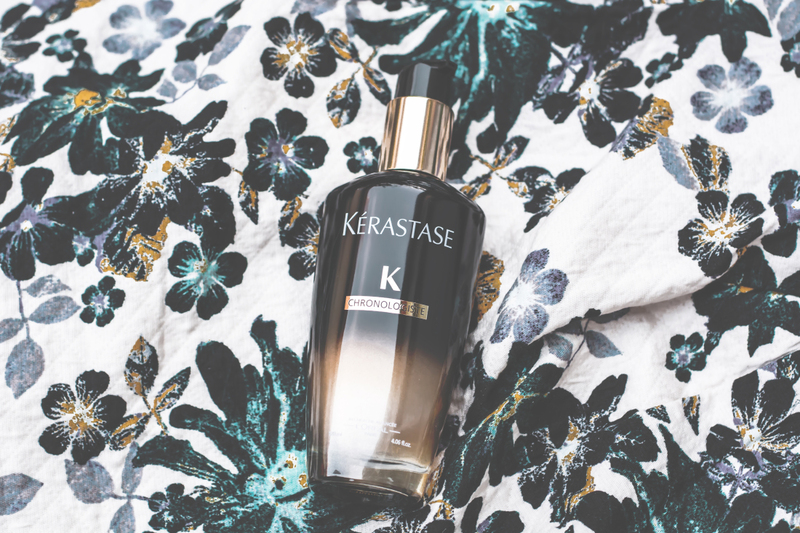 Some weeks ago I had pleasure trying out the new Chronologiste Ritual by Kérastase at the L’Oreal Academy, whose formula was inspired by exactly those problems I’m dealing with since the start of my colouration story. Guys, you should have been seen, not only my happy face, but also my happy hair, after the whole treatment. I had never experienced such a silky smooth, luxurious just like voluminous, but still light in weight and shiny hair moment before and simply felt like I need to share the love I feel for this hair line, with you guys. You have to know, that it has never been that easy for me finding the right products for my hair texture. 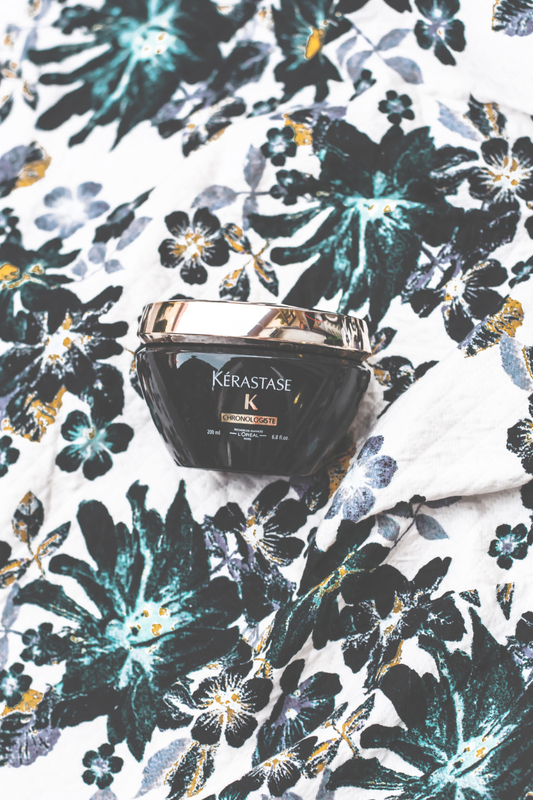 I’m reviewing new products to find the perfect ones since years and so far, any of them, apart from the Chronologist hair line by Kérastase managed to bring out the best. 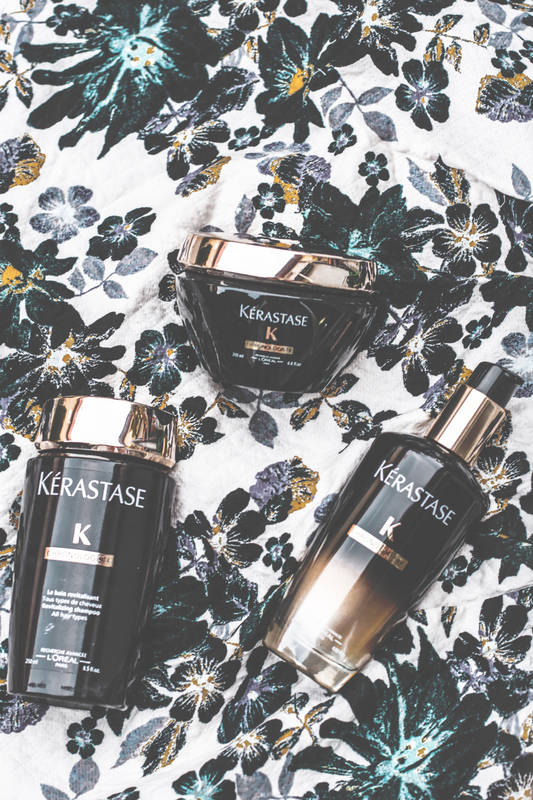 Besides the Chronologiste in-salon ritual, which is a treatment you can only get at several hairdressers who have partnered up with Kérastase, there are also three products which you can use at home to finalize the perfect looking hair and make the in-salon treatment last as long as possible. You absolutely need to try out the hair fragrance, which is a finishing touch of brilliance and softness. So much love for it! Meine Haare sind leider auch immer wieder trocken – werd ich mal ausprobieren!